According to the Economist (September 14th, 2013 issue), invasive species, plants and animals of exotic origin that invade and disrupt ecosystems where they are not native, have been solely responsible for 20% of global extinctions since 1600, and partly responsible for half of them. The National Invasive Species Council reports that 42% of the organisms now listed under the Endangered Species Act are “at risk primarily because of invasive species.” In 2005, Cornell University professor David Pimentel indicated invasives were a $120 billion annual drag on the US economy. Invasive species are a national threat. 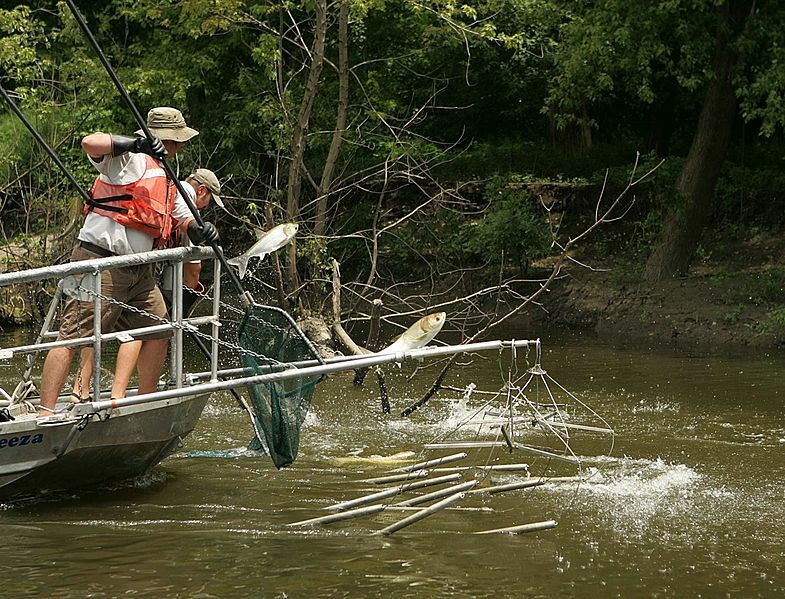 According to the Northeast-Midwest Institute, the $7 billion dollar Great Lakes recreational fishing industry is seriously threatened by the possible invasion of Asian carp into Lake Michigan. Former Secretary of the Interior Dirk Kempthorne has likened the spread of invasive weeds in the intermountain West to “a silent, slow motion wildfire.” In Florida, invasive Burmese pythons, released by clueless pet owners, now number in the thousands. They are rapidly depleting the ground-nesting bird and small mammal populations in Everglades National Park (can you see the future newspaper headline, “Florida developers frustrated by more ESA listings”? ), and even killing and eating alligators. In the Pacific Northwest, water managers fear that the invasive quagga and zebra mussels threaten the crucial water infrastructure and recreational resources of the Columbia and Snake Rivers. Local environmental groups care about invasives, but national groups put few resources into the issue. Corporate America therefore needs to step up and take a leadership role. Agriculture, forestry, recreation, utilities, developers, and any company with an intake or discharge pipe in water are at risk on this issue. As of November 22, 2013, 146 species were listed as candidate species for listing under the Endangered Species Act. Industry has long and unsuccessfully sought reform of the ESA. The best and most practical way to reduce the future regulatory burden from the ESA is collaborative action to combat the invasive species that may otherwise push many of these candidates onto the list. Joint action against the invasives responsible for the plight of many of the 1,516 species already listed under the ESA is the best way to reduce the current regulatory burden posed by the Act. It is time to form a broad-based coalition on invasives, with industry in the lead.